Within media, radio is often seen as one of the elder statesmen, but despite the fact that it’s essentially just the printed press that has been around for longer, it has a remarkable ability to remain relevant even as platforms such as television that was tipped to bury radio fall away at the influence of the internet. The main reason for this is its ability to embrace these technologies and, with the advent of the likes of NTS, Noods, and Netil, it is in ruder health than ever before. At Point Blank, we maintain a long-running affection for this most dynamic medium and we’re ever-proud of the achievements of our alumni in helping to shape these new developments. We’re so proud that we thought we thought it a prudent time to remind you of some of the more notable successes of our students in Radio. These include respected tastemakers in Madam X and Monki, ubiquitous personalities in Dev and Gemma Cairney, inventive innovators in Shan McGinley and Alysha Wood, and in-demand producers in Anna Kay and Josh Dowler. From Beats 1 to 1Xtra, our former students lead the way, and as radio continues to evolve in step with technological advances and changing listening habits, many of our graduates are at the very forefront of these developments. Below is a small snapshot of some of our recent breakout radio talent, but the number is growing all the time. Could you be next? If you’re thinking about studying radio with us, there’s no better time: in addition to our flagship Radio Broadcasting Diploma we now also offer a whole range of shorter courses which give you the maximum amount of flexibility in chasing your particular dream. Once enrolled on one of our radio courses, you’ll receive a massive £500 worth of free radio equipment. This includes Aiaiai professional headphones, Adobe Audition, and a Tascam digital recorder to help kickstart your career. IIIn just a few short years Alysha’s CV has grown to incorporate an impressive breadth of the modern radio landscape. Initially working in local radio in Croydon, she has since gone to Radio 1 and 1Xtra at the BBC, helped launch and run Chris Moyles’ show when he moved to Radio X, worked in music TV at The Box and worked as a Music Editor at today’s radio/playlist behemoth Spotify. All that experience has seen her land a role as Streaming Manager at one of the biggest labels in the world, Warner Brothers. Shan came to Point Blank to study the Radio Production Certificate. Since completing his course, he secured internships at a few of London’s most cutting-edge radio stations including Shoreditch Radio and Ministry of Sound Radio before going on to produce radio shows for Artwork (Magnetic Man) and Youngsta at Rinse FM. Recently, Shan set up brand new radio platform S I S T E R with Rinse FM’s Carly Wilford and former PB instructor Chris Bailey. Scouting the cream of international club talent, S I S T E R has already played host to Benga and Seth Troxler with more big names lined up for the future. He’s even been back to host a guest masterclass with a new batch of students which you can watch here. After completing the Radio Production Certificate, Josh Dowler went on to work alongside DJ and producer B. Traits at the record label Digital Soundboy, Radio 1 and 1Xtra. Josh initially met B. Traits when she came into Point Blank to give a guest lecture for his radio class where she discussed her new role as a Radio 1 presenter as part of their “In New DJ’s We Trust” programming. He says, “after the lecture was over I spoke to her about some electronic artists I thought were showing promise for the forthcoming festival season and about the history of the bass music culture in Britain. We got on really well.” Four months later, Josh was contacted by B. Traits’ manager and asked if he would like to come in for an interview with her for two internships. The first as an intern at Digital Soundboy then secondly as her Radio Assistant on Radio 1 and 1Xtra. 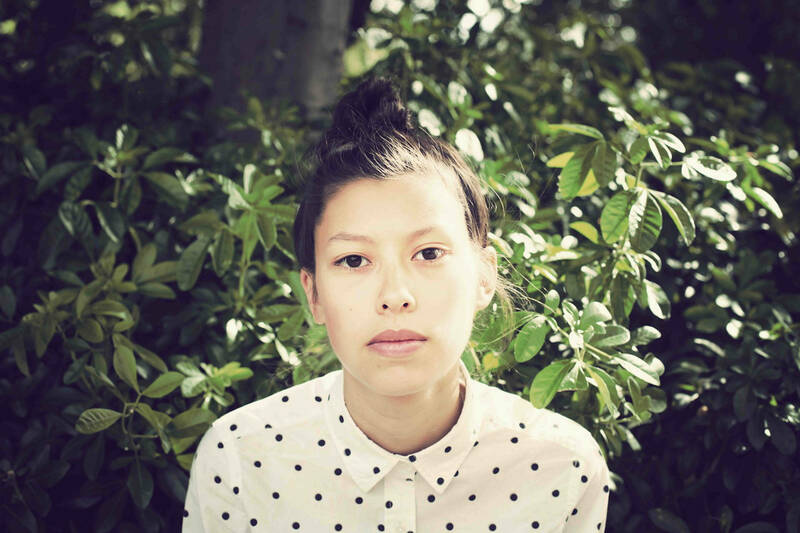 Both Radio 1 and 1Xtra have form when it comes to accommodating truly taste-making DJs in their schedules, and Monki continues that legacy with her eclectic underground vision. A club DJ at heart, after graduating from the Point Blank Radio Production Certificate course, Monki went on to DJ for Annie Mac’s AMP parties and Bestival Radio before landing a career-making slot at London’s Rinse FM while still in her teens. She now presents on 1Xtra and, frequently, Radio 1, bringing her club selections to a massive audience in the evening slot. Much like Monki, Anna Kay studied the Radio Course as part of the Radio Certificate at Point Blank. Shortly after graduating, Anna interned at Somethin’ Elsewhere she got to work across radio shows on BBC Radio 1 and 1Xtra, interned at Ministry of Sound Radio as a Broadcast Assistant and she produced the Breakfast show on Rinse FM before becoming a Radio Producer at Kiss FM. Here she worked across live and pre-recorded specialist radio shows for the likes of Shortee Blitz & DJ MK, Majestic and Steve Smart, as well as producing shows for Kiss’ new digital station, Kiss Fresh. She’s now at the forefront of streaming radio, working as a producer Apple Music’s Beats 1. DJ, label head, club impresario. Madam X studied with us back in 2009, going on to join the Murkage Cartel in Manchester directly after finishing her course. Since then she’s built a profile as both a club and radio DJ, combining a rammed-out touring schedule with hosting shows on stations like BBC 1Xtra, Rinse FM and NTS. Mixing grime, techno, bass, garage, like fellow PB alumna Monki, Madam X is adept at playing huge festival crowds, late-night radio audiences or 100 capacity basements. Interested in joining us and carving out your own path in radio? Our Radio Broadcasting Diploma offers the ideal foundation. Students will not only learn core skills across production and presenting from expert instructors but also delve into future trends and developments within the industry, placing them at the cutting edge.